Laid down, 9 September 1942, at Bethlehem Fairfield Co., Baltimore, MD. 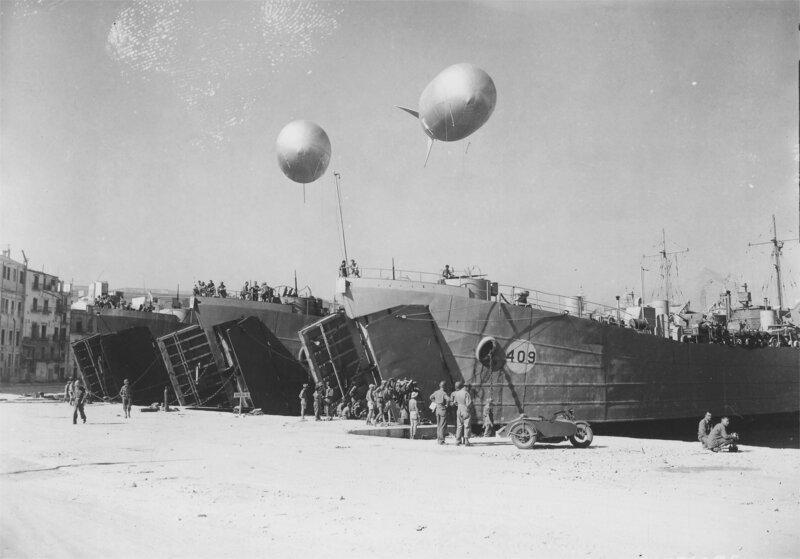 979k HM LST-409 with two unidentified LSTs, moored a Palermo, Sicily, Italy, 4 September 1943, probably preparing to load troops and equipment for the Salerno landings, scheduled for 9 September 1943. 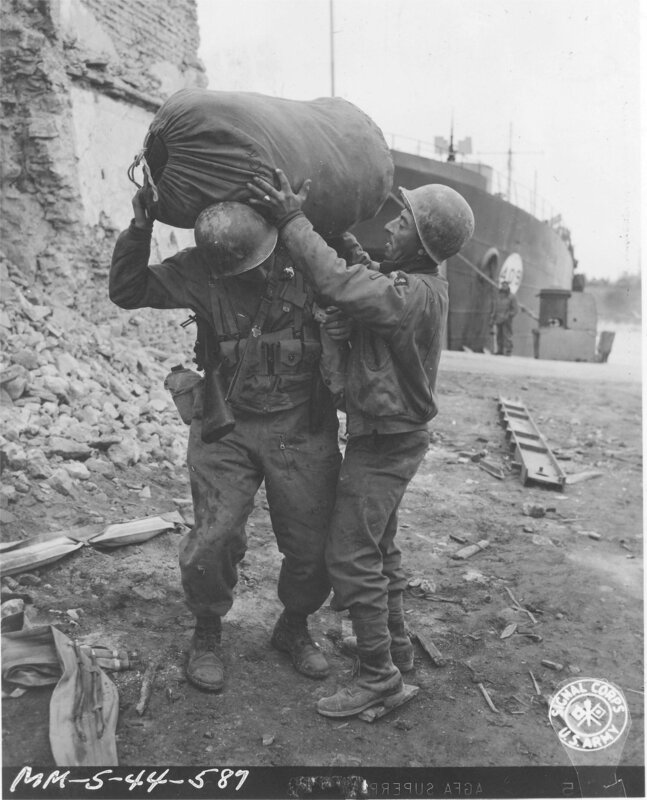 415k HM LST-409 beached in the background of this photo of two soldiers from the US Army 45th Division as they unload at Anzio, Italy, 1 February 1944.